WHAT: New York Times bestselling author Debbie Macomber teams up with World Vision’s Knit for Kids, a nationwide family of volunteer knitters who create clothing items and blankets for children in need. Macomber is also keynote speaker for Vogue Knitting LIVE show this weekend. Before the show on Friday, October 26, Debbie Macomber, VKL, World Vision and knitters gather to distribute sweaters, scarves and hats to young children at Alex Haley Elementary Academy in Chicago’s Southside. After the knit distribution, World Vision’s Knit for Kids and VKL will host a Live Goat Knit Mob, as local yarn retailer Lorna’s Laces supplies custom, repurposed designs for a menagerie of local goats, who will walk the Goatwalk in a fashion show to engage local knitters to pick up their knitting needles to help kids in need in the US and around the globe. 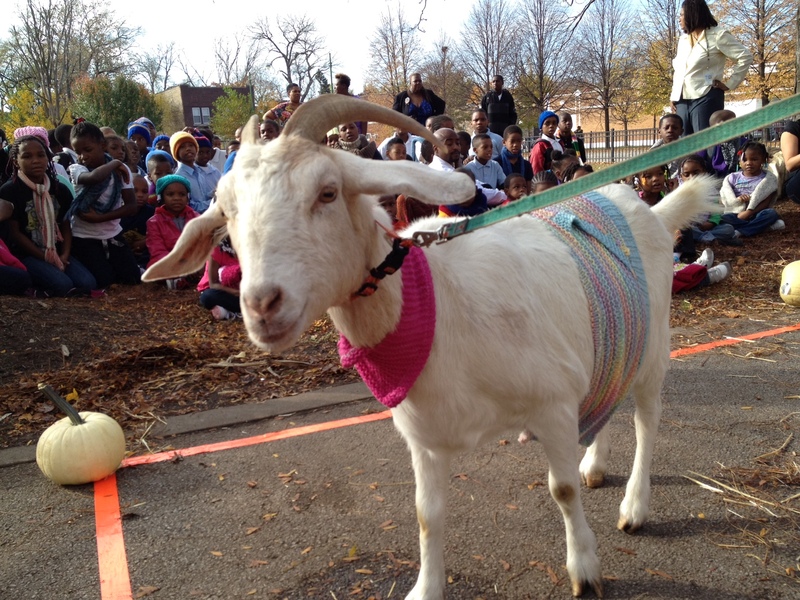 WHAT: Winter Knits School Distribution 9-10 a.m.
Live Goat Knit Mob Fashion Show 10-11 a.m.
WHY: The need is great. Many children around the world do not have the clothing they need for basic survival. World Vision field offices report that 900,000 children need sweaters; more than 1 million infant caps and blankets are needed to help the most vulnerable. Recently named International Spokesperson for Knit for Kids, Macomber hopes to mobilize thousands of knitters to share her love of knitting and her commitment to the poor to join the effort. “These days there’s so much focus on doing activities to keep the mind active,” says Macomber. “But I believe we need to keep our hearts active.” World Vision distributes knitted clothing and blankets to children in over 11 countries and the U.S. as well as disaster responses like Hurricane Katrina in 2005.
WHO: This winter knits distribution is a partnership of World Vision’s Knit for Kids, Vogue Knitting LIVE, and Debbie Macomber. The Live Goat Knit Mob Fashion Show is brought to you by World Vision’s Knit for Kids, Vogue Knitting Live, and Lorna’s Laces.